It's getting a bit late in the year now and the weather is so unpredictable. Anyway, on Saturday morning I decided to have dabble down at the coast. For once the sea was reasonably calm, if a bit murky, and it wasn't pouring with rain. There's no need for an early start at this time of the year so it must have been six-thirty by the time I'd slipped and slithered my way along the shore to my chosen spot. 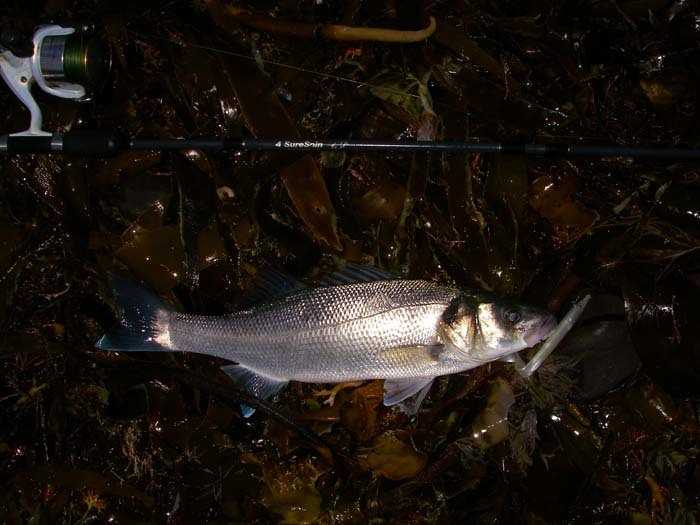 There were mountains of fresh kelp washed up on the rocks but very little weed in the water so I decided to fish with the 18cm weighted Redgill which, although it's not weedless, casts a bit further than the unweighted 'Slandra'. As it got light I had several tentative plucks on the lure. They REALLY WERE tentative and I decided that they must have been tiny bass. Anyway I didn't manage to hook any of them so I'll never know for certain. I bashed on, standing on a pile of kelp and fanning the casts out to try and cover all the water in front of me. It must have been half-an-hour at least before I felt a wrenching bite and found myself playing a good bass of about six pounds. 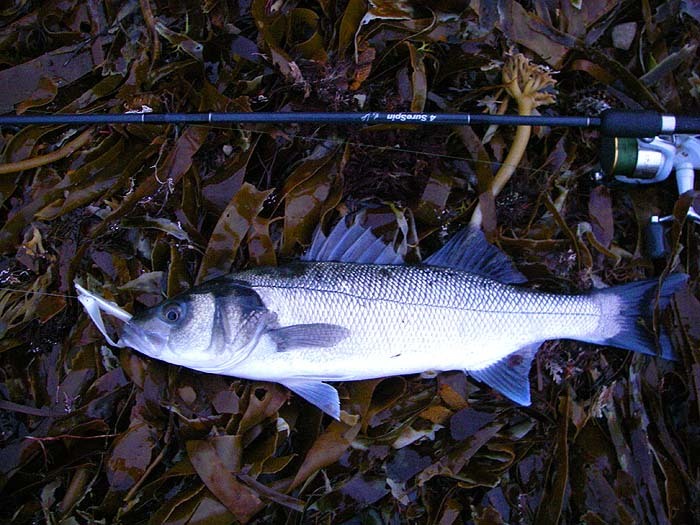 I landed it after a fine tussle, took one or two pictures and slipped it back into the sea. In the next twenty minutes I had three more bass, none quite as big as the first one but all in mint condition. 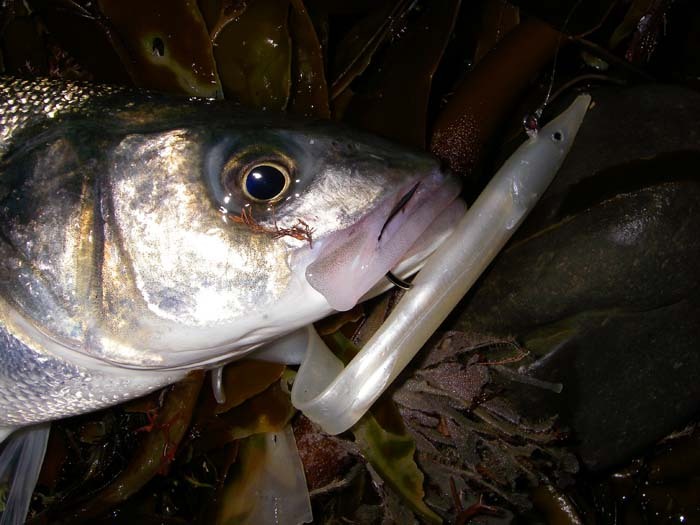 All were firmly hooked in the upper jaw. That's one thing about big single hooks, fish rarely come unstuck. Anyway, considering the conditions and time of year four fish in an hour-and-a-half is pretty good going.